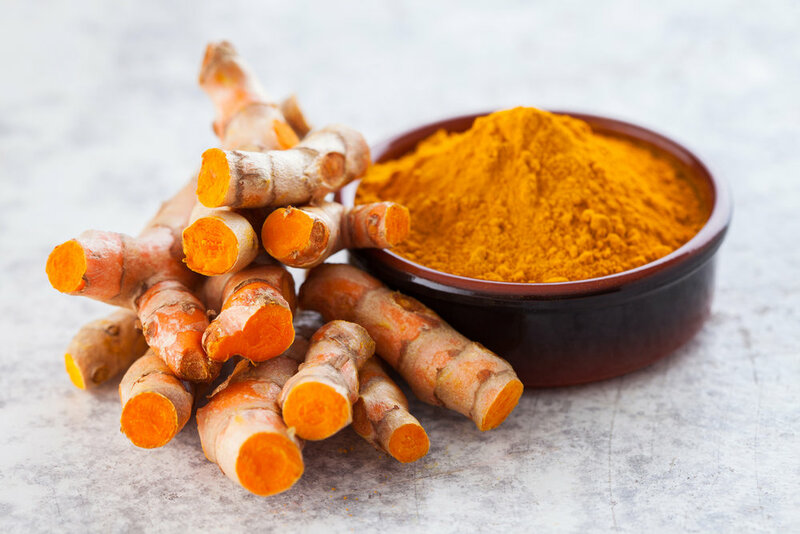 FRESH TURMERIC, also known as Indian saffron or yellow ginger, is a rhizome (the part of the root system that grows off a primary tuber) related to galangal and ginger. It is native to the Indian subcontinent and Southeast Asia. Turmeric has a sharp, bitter and slight spicy flavour. Fresh turmeric can be purchased in ‘fingers’ that are similar in appearance to fresh ginger with a deep orange-yellow flesh. Fresh turmeric must be peeled, then grated or pounded to release its flavour. Fresh turmeric can be substituted with dried turmeric powder: use 2 teaspoons of turmeric powder for every 20g of fresh turmeric called for in a recipe. A key ingredient of turmeric is curcumin, which has great antioxidant effects. Buying: Fresh turmeric can be purchased from specialty fresh produce or Asian grocery stores. Look for turmeric rhizomes that are plump, firm and clean without any scratches or cuts exposing the flesh. Storage: Keep turmeric in an open container in the cupboard for up to 2 weeks as you would onions and garlic. Uses: Turmeric can be used in curries, Moroccan stews and spice blends for grilled meats and in rice dishes and soups for its bright colour. It can be used to make a turmeric latte with warm milk, cinnamon, ginger, vanilla and maple syrup or in a tea with ginger, lemon and honey.